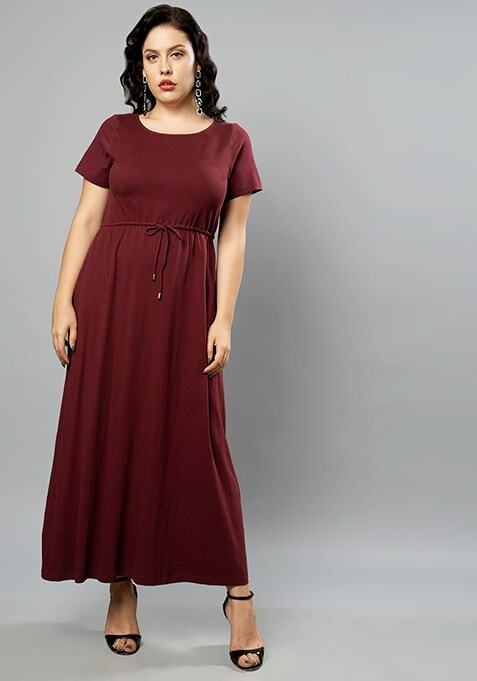 This oxblood maxi dress has curve enhancing tweaks to give you the perfect figure. Features waist drawstring and short sleeves. Work It: Perfect to be paired with block heels for a comfortable day at work.